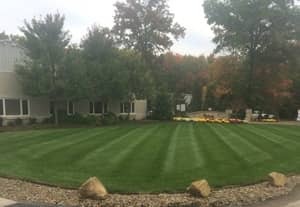 Turfscape's Lawn Care Program for fertilization and weed control consists of four to six applications, depending on individual property requirements. Our Lawn Care Experts are professionally trained and licensed company employees. Turfscape does not sub-contract this service out.All chemical applications are performed in accordance with current county, state, and federal laws, utilizing EPA registered materials and methods of application. These applications are performed under the supervision of a Licensed Certified Applicator. Our turf fertilization provides the correct amount of essential nutrients required by turfgrass to maintain color and health. We recommend 3-4 pounds of nitrogen per 1000 square feet of lawn area annually. The analyses as follows are applied at average rates of 1 pound of nitrogen per 1000 square feet, and all are premium grade turf formulations: 18-24-12 50% SCU; 15-3-8 25% SCU; 24-5-7 50% SCU. Weed control addresses plants such as dandelions, ground ivy, knotweed and clover. These weeds can be effectively controlled if they are treated at an early stage. Weed seeds are present in all turfgrass areas. 1st Application: A granular pre-emergent/fertilizer is spread for the control of crab and other weed type grasses. 2nd Application: A liquid post-emergent product (broadleaf weeds) is sprayed. 3rd Application: A granular fertilizer is applied to promote summer growth and color. 4th Application: A granular fertilizer is applied. 5th Application: A liquid post-emergent product (broadleaf weeds) is sprayed. 6th Application: A granular fertilizer is applied to prepare your lawn for next growing season. Of course, our technicians are instructed to spray weeds during site visits regardless of application. If there are weeds...we're going to get them! Note: Due to abnormal weather conditions throughout the growing season, our grounds care specialists may change the rate or timing for maximum performance of the product, or change analysis depending on soil conditions. In the event of turf insects, nutgrass infestations, or fungus problems, you will receive notification and pricing from your Account Manager (these services are excluded unless specifically stated on your contract). 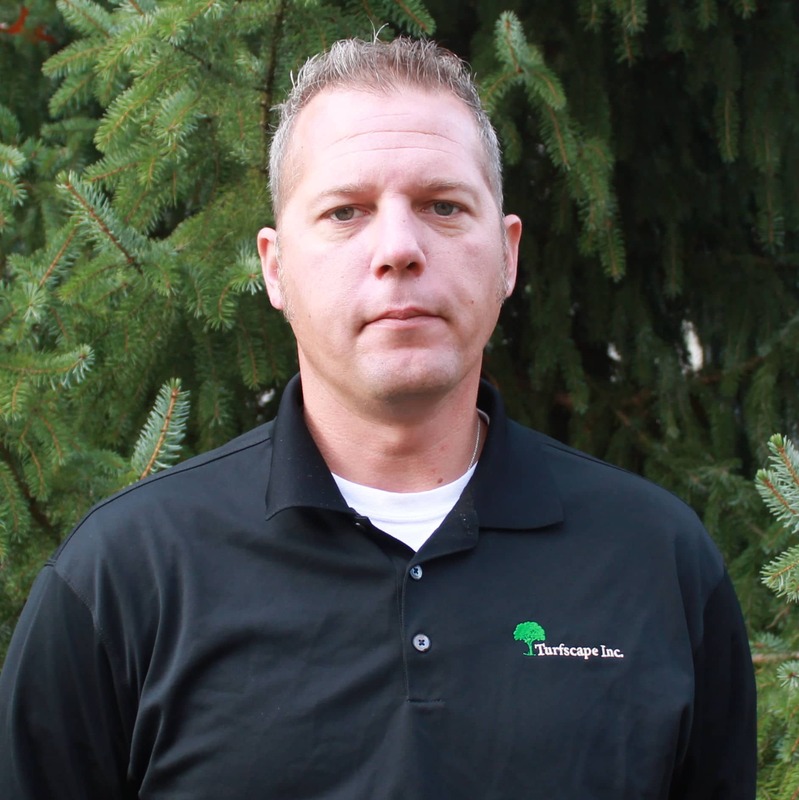 Bob Ramser is the Branch Manager at our North Canton facility. In his role he focuses on customer service, sales in both enhancement and new snow and lawn maintenance contracts, employee retention, quality of the properties, building relationships with employees and customers, and the day to day operations of the branch. Outside of work, he enjoys playing golf, watching sports, being with family, and driving his Roush Mustang.